The year is 1845, the earliest days of the Oregon Trail, and a wagon team of three families has hired the mountain man Stephen Meek to guide them over the Cascade Mountains. 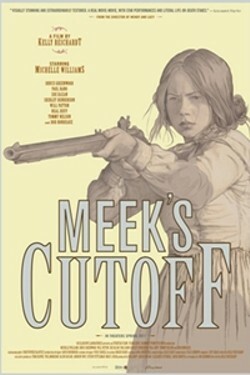 Claiming to know a short cut, Meek leads the group on an unmarked path across the high plain desert, only to become lost in the dry rock and sage. Over the coming days, the emigrants must face the scourges of hunger, thirst and their own lack of faith in each otherâs instincts for survival. When a Native American wanderer crosses their path, the emigrants are torn between their trust in a guide who has proven himself unreliable and a man who has always been seen as the natural enemy. 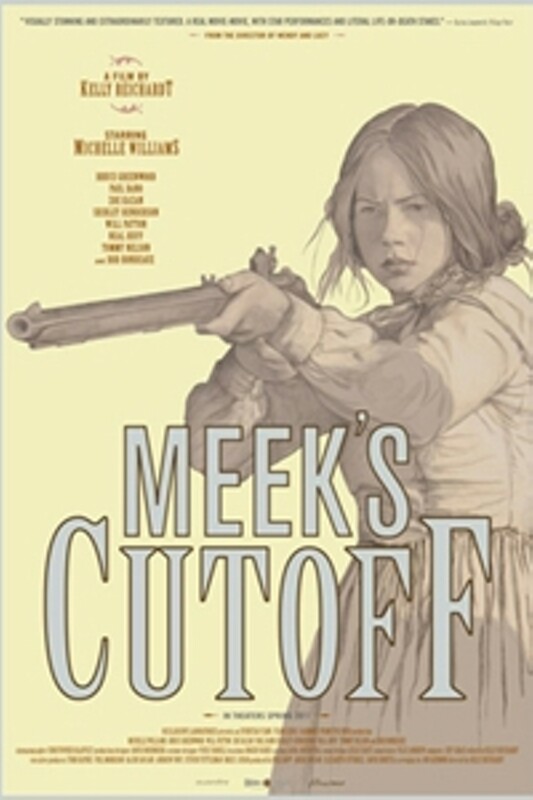 Meek's Cutoff is not showing in any theaters in the area.